Brad Schwarzhoff shares a story about helping students through the Evening Tutoring program at Family Matters. 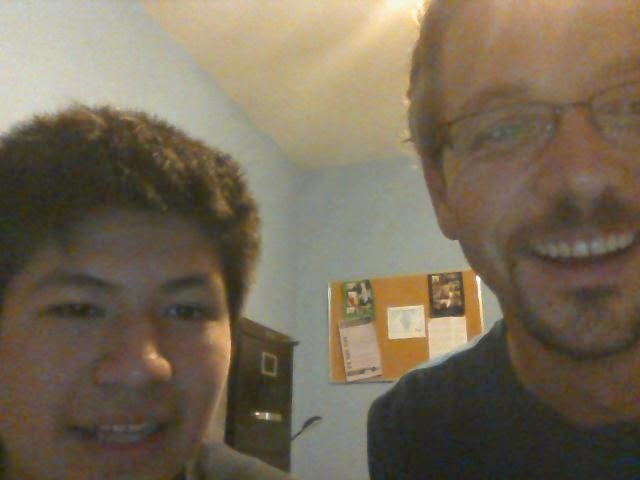 For the past few years, I’ve been working with my student Jaime during the evening tutoring program. During our weekly sessions, I often share my knowledge of technology with Jaime, whether it’s adding some memory to a computer, learning the basics of programming, or most recently, fixing a tablet computer. I’ve gotten to know Jaime’s family since I’ve been his tutor, including Jaime’s brother Marino, who is also a student in the evening tutoring program. Jaime and Marino were lucky enough to obtain their own tablet computers through a program at their school. On one sad December day, Marino accidentally dropped his tablet and shattered the screen. A month later a replacement screen was ordered and we spent a Saturday afternoon fixing the tablet. We pulled up a youtube video on how to fix a screen on this particular tablet. Following along with the video, we took apart the tablet, replaced the screen, and re-assembled the tablet. We ran into a couple of challenges along the way, persevered, and were triumphant in the end. A happy Marino with his good-as-new tablet. I’ve now been tutoring at Family Matters for over 7 years. It has been, without a doubt, the most rewarding experience that I’ve ever been a part of. It truly is a wonderful organization, and I highly recommend getting involved.